The University of Louisville Baseball team takes the field for the first time with a Valentine’s Day dual against West Virginia on February 14. With the season just around the corner there is only a little bit of time left to linger on the success and magic of their College World Series run during The Year of the Cardinal. 2013 was a truly memorable season for Louisville Cardinals Baseball. Topping off the season, the Cardinals became Conference Champions, and went through the NCAA Tournament all the way to the College World Series. The 51-14 team was held up largely by the then-junior and senior players under the guidance of Head Coach Dan McDonnell and Assistant Coaches Chris Lemonis and Roger Williams. The 2013 squad’s impressive 51-14 record came with a conference record of 20-4 in the competitive Big East. At home they boasted 33-5, but their away record didn’t falter at 15-4, which brought in 3-5 at neutral locations. This neutral location record was their demise in the College World Series, which takes place at third-party fields. Upon arriving at the CWS, the Cards lost two in a row, eliminating them from the series. First was a 2-0 loss to Indiana followed by 11-4 elimination versus Oregon State. That in no way means the team wasn’t solid. The pitching staff boasted an overall ERA of 2.52, which included a strikeout to bases-on-balls ratio of 629-223. This balances out roughly to nearly three strikeouts for every walk allowed. Despite these extraordinary numbers, it may be difficult for the Cardinals to replicate the numbers again this year. They lost four impressive junior pitchers to the draft. RHP Dace Kim, RHP Jeff Thompson, RHP Chad Green and LHP Cody Ege will all be joining professional teams in their minor league organizations for the upcoming season. Defense is an often-overlooked strength of many teams. While the Cardinals weren’t necessarily the strongest in the area, they held up a solid .969 fielding percentage and committed a total of 77 errors in 65 games total. The pitching staff kept the need and opportunity for a fantastic defense to a minimum, and the offense made up for any lost time there may have been. With all but one batting average above the Mendoza line, the total average for all the Cardinals was. 283, with seven players going above the .300 mark. They outscored opponents 404-212 runs, had a winning streak of 16 and a losing streak of only three in comparison. Lost from the offense and defense will be drafted 3B Ty Young, OF Chad Johnson and OF Adam Engel. There are also a handful of graduated senior who will not be returning. 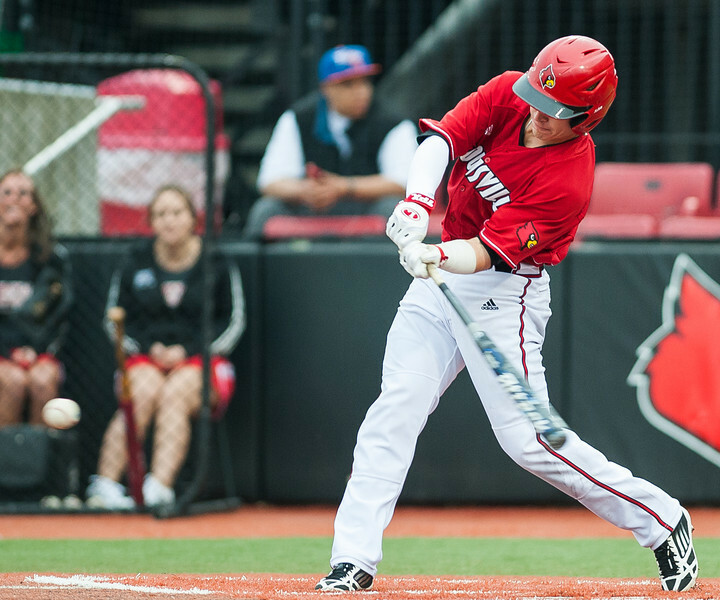 With Dan McDonnell, Chris Lemonis, and Roger Williams returning to lead a fresh set of faces in 2014, it’s certain to be an intriguing season. The Cardinals will have to find new approaches to success in 2014. It’s going to be a year of rebuilding and discovery.